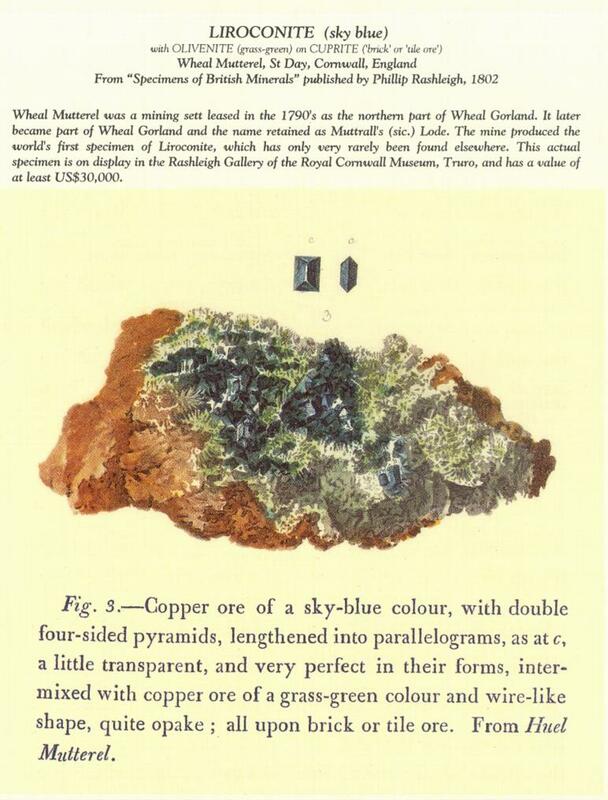 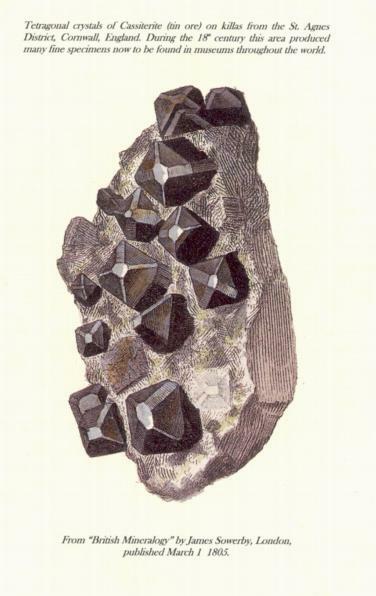 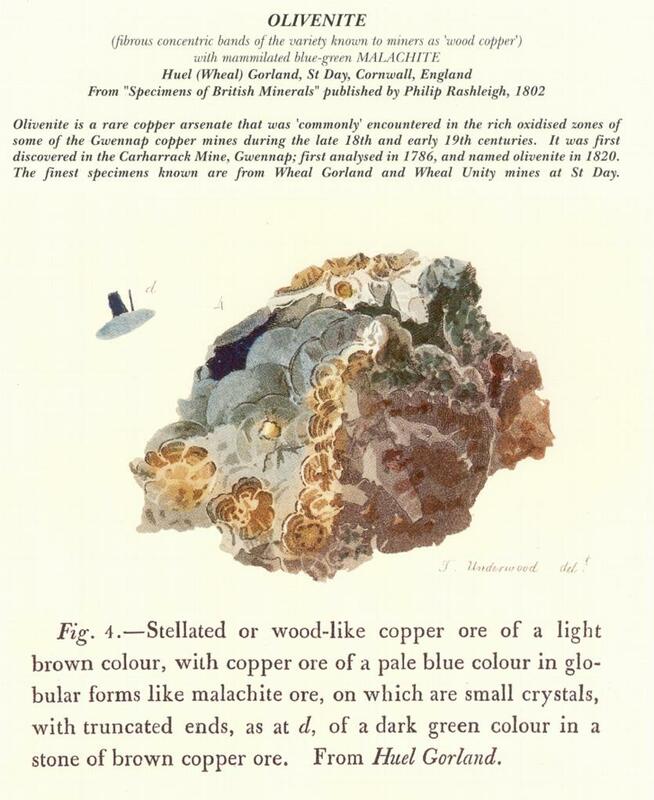 These illustrations from MMC�s themed New Year Greeting Card were taken from "Specimens of British Minerals" published by Philip Rashleigh in 1802. 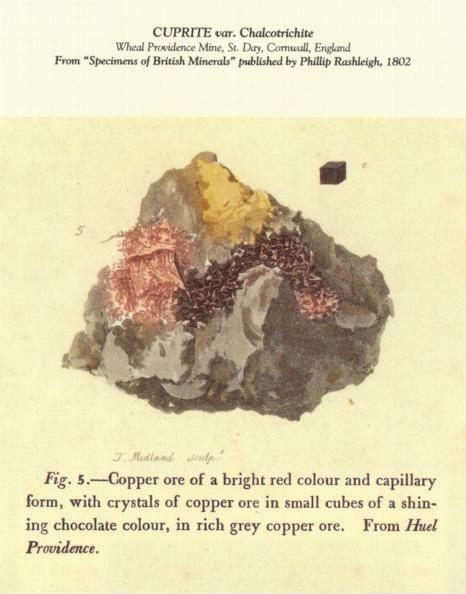 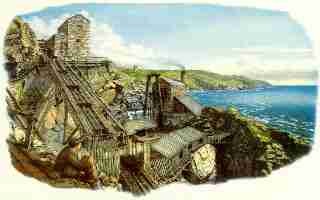 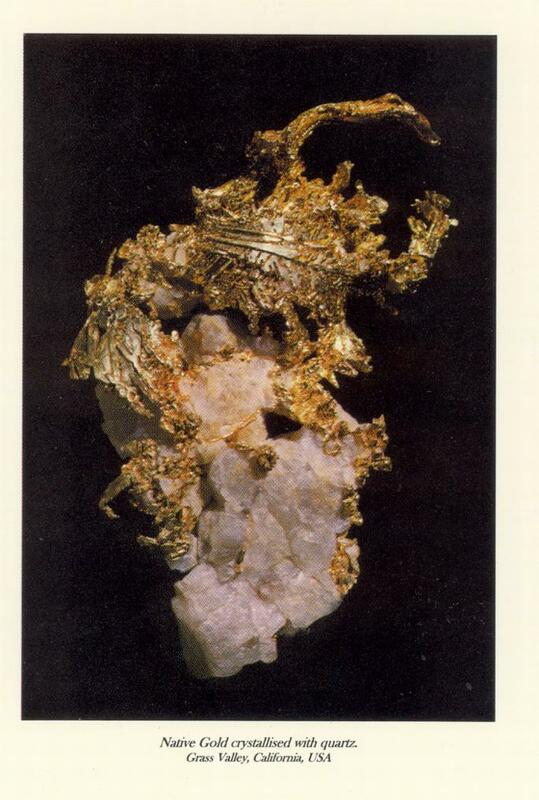 Rashleigh (1729-1811) is famous among mineral collectors for the superb Cornish mineral collection he assembled, and among book collectors for the two-volume description of the best specimens which he published in 1797 and 1802. 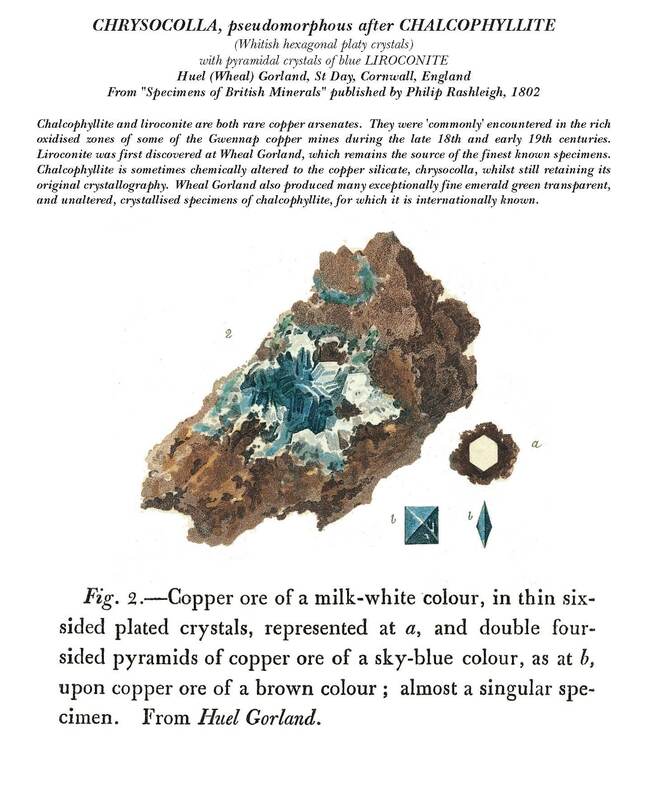 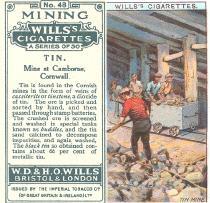 Much of Rashleigh's mineral collection is still preserved and is is on display in the Rashleigh Gallery of the Royal Cornwall Museum, Truro, and is one of the few private mineral collections in the world to have survived more or less intact for more than two centuries.